Description: A WordPress site designed and constructed to portray the quality, reputation and brand of a well respected professional Dalmatian breeder. 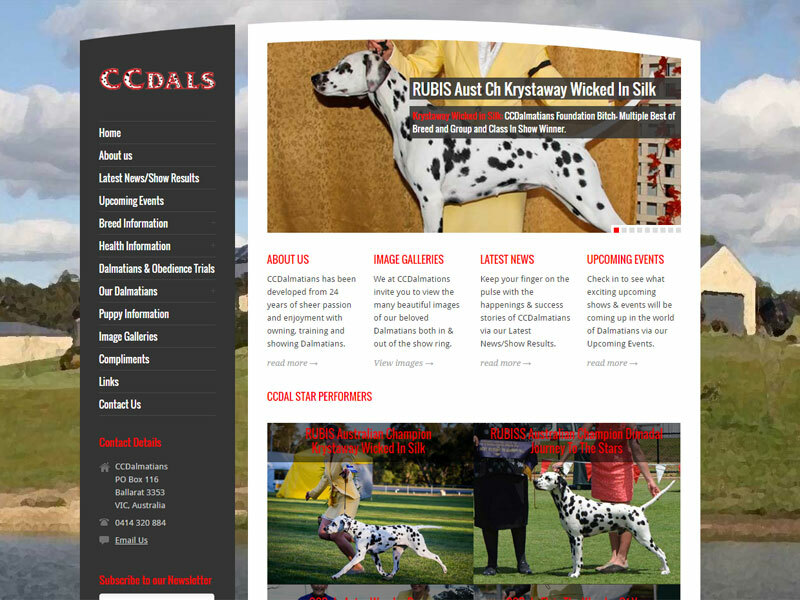 The brief called for a site that would promote the brand of the breeder, showcase the individual dalmatians and provide general Dalmatian information to visitors. Many SEO and performance principles were incorporated into the build with the site consistently ranking as one of the top Dalmatian sites worldwide.